There are several amazing types of mushrooms that are excellent choices as natural medicine, as well as species that can be cultivated as part of a permaculture food forest system (an approach to sustainable gardening based on ecological principles). Mushrooms are a rich source of both foods and medicines. Medicinal mushrooms have been shown to possess effective antibacterial, anti-inflammatory, antiviral and other healing properties. Mushrooms have been used as effective medicine in a variety of cultures around the world. They continue to be a major part of traditional Chinese medicine traditions and they are gaining popularity in North America. An excellent use for many types of mushrooms is for companion planting. Many species provide a supportive, symbiotic role for vegetables and other plants, shrubs, and trees. Certain species can be planted with vegetables to form a mutually beneficial relationship that helps create a greater yield of vegetables, improves the soil quality, and produces a fruiting of edible mushrooms. Some of the mushroom species that can be grown with vegetables include the garden giant (Strophoria rugoso annulata), elm oyster (Hypsizygus ulmarius), and pearl oyster (Pleurotus ostreatus). The garden giant does not fruit during the first year, but the elm oyster and pearl oyster do. Recent research has also shown that some mushroom species can help remove toxins from soil and water. These new arenas of mushroom use are called myco-remediation and myco-filtration. Medicinal mushrooms are wonderful, but oftentimes harvesting them from the wild can be challenging. Some species are not easy to find, while others are rare and wild-harvesting them can be damaging to the survival of that species. One way to avoid these potential problems is to grow them yourself. Some species are relatively easy to grow, and with a little bit of care and monitoring can give you a bountiful harvest for years to come. For information about obtaining and growing your own medicinal types of mushrooms, check out Fungi Perfecti in the links section below. 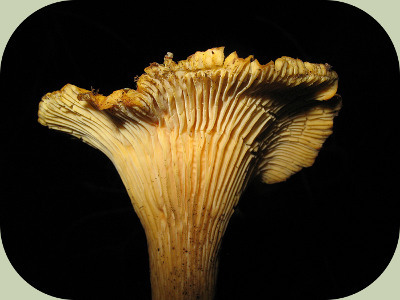 To learn about identifying, harvesting, and using wild mushrooms, consider attending the Wild Mushroom Identification Class. 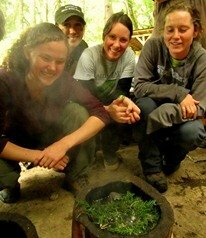 To learn about sustainable living skills, consider our Permaculture Courses. References: Stamets 2005. Arora 1979.